THE WENGER BROTHERS-LIFE AFTER JODI, THE IODI YEARS. Many years ago, a friend bought a copy of Henri Charriere’s Magnus Opus Papillon in a thrift store. Straight away, was hooked by this story of injustice. For the next week, he sat engrossed. Gradually, he neared the end of this hefty tomb. With thirty pages to go, he announced that tonight, he would finish Papillon. The next day he arrived bleary eyed and frustrated. As he had turned over to the final pages, he discovered that they were missing. Suddenly, he was faced with not knowing how the story ended. Sometimes, record buyers find themselves in a similar situation, and never know how a story ended. There’s nothing more frustrating. Especially, when one comes across an album of ambitious, groundbreaking and genre-melting music. 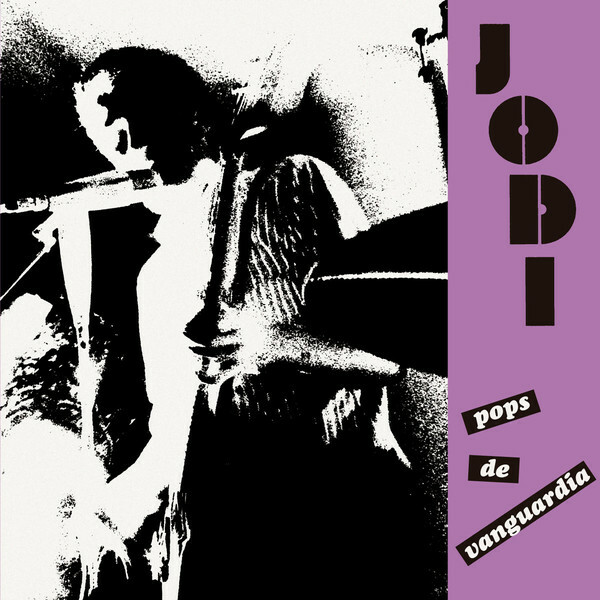 That was the case recently, when I reviewed Out-Sider Music’s reissue of Jodi’s debut album Pops de Vanguardia. It was a long lost, genre classic that incredibly, had been recorded by two teenage brothers, Joern and Dirk Wenger. Having researched the story of Jodi, and their debut album, Pops de Vanguardia, I realised that this was only part of the story. 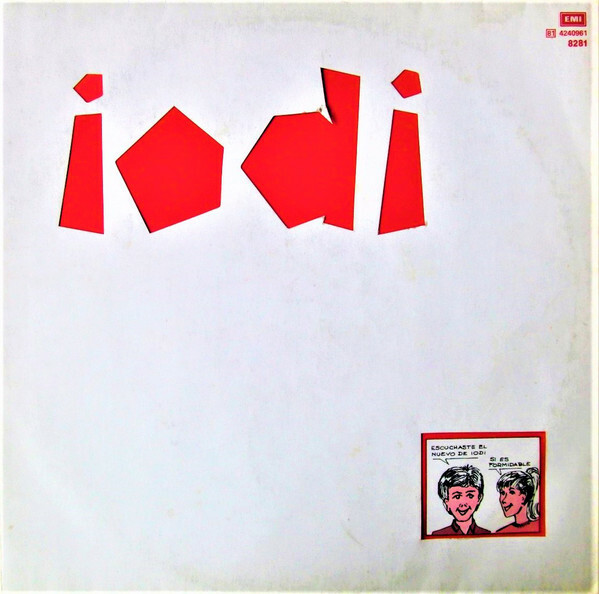 Having dug deeper into the story, it became apparent that Jodi had changed their name to Iodi and released two further albums. Apart from that, information was thin on the ground. It looked like that the trail had gone cold. Then a few days after the review of Pops de Vanguardia was published, Joern Wenger the cofounder of Jodi got in touch. He kindly agreed to an interview and to tell not just the story of The Rabbits, Jodi and Iodi, but life after music. It’s a fascinating story, and one that begins in Asunción, in Paraguay. That was where brother Joern and Dirk Wenger were born and brought up. Their family were industrialists who owned the Dux factory in Asunción, which made paint related products. 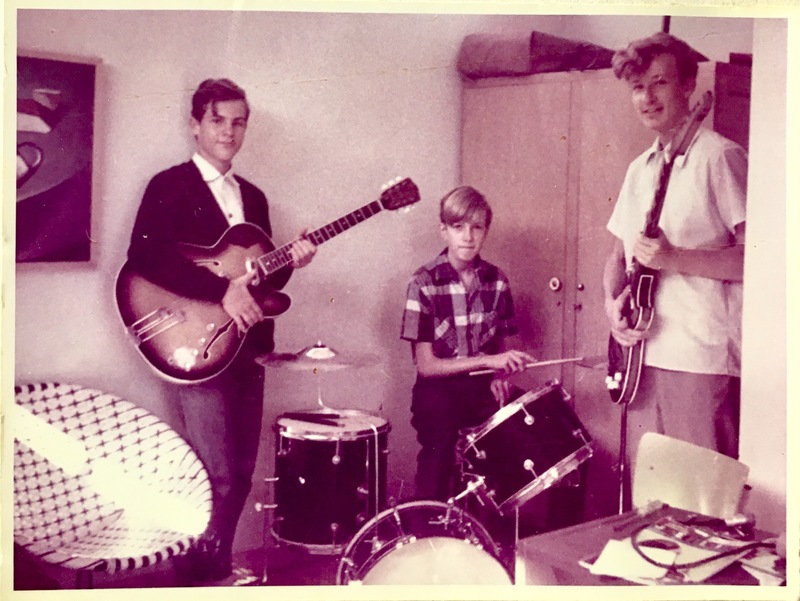 Away from the factory, Joern and Dirk’s father and grandfather both shared a love of music. This they would pass on the next generation in Wenger family, Dirk and Joern. He remembers: “My grandfather, who played all kinds of music instruments, introduced me to music. 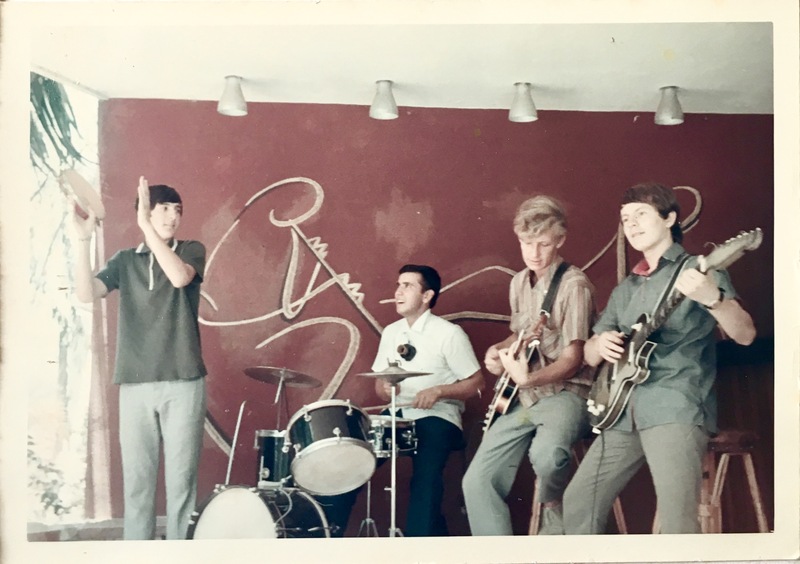 My father as well, but he mostly helped us out with the photography and film making in 16mm… He was also our music mentor; always giving advice in our song creation.” That would come later. 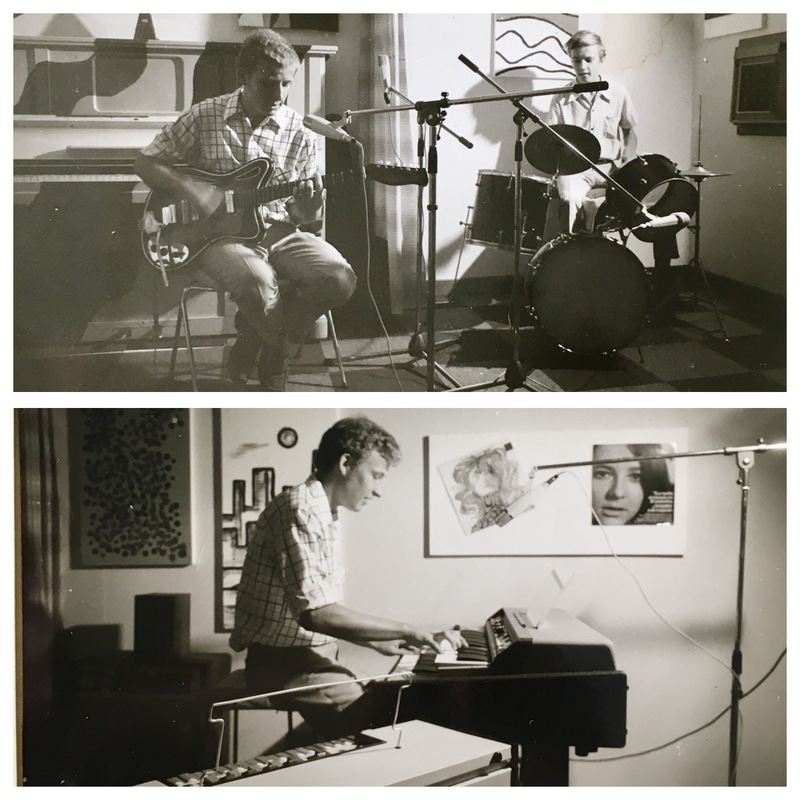 Before that Dirk and Joern’s father and grandfather brought a variety of musical instruments into the family home. Unlike in some homes, these instruments were to be played. Dirk and Joern’s father and grandfather taught them how to play some of these instruments. Both brothers were keen and talented students who had a passion for music. Soon, they were receiving formal music lessons. In Joern’s case, it was the piano he learnt to play. He spent five years learning to play the piano. This he remembers clearly: “I remember my first piano teacher telling me, after five years of boring exercises: ‘It’s enough. Let your imagination fly. Play what you hear inside of you.” This proved to be the start of a musical adventure for the Wenger brothers. By then, music was a passion for the Wenger brothers. The brothers immersed themselves in all types of music: “We had always a lot of influence. There were the old 78 LPs from my father, like Elvis Presley and The Platters. After that came The Beatles and The Rolling Stones, of course. My father was a huge fan of Led Zeppelin when they first started. We analysed their songs one on one to hear the effects… the little music hints! I learned that a complex song is not always a good song. Let it be simple!” This was advice the Wenger brothers would heed when they formed their very first band. Both brothers were already talented multi-instrumentalists. Joern, the eldest brother, could play piano, guitar, violin, bandoneon and solfege. He was also already writing songs by the age of fifteen. Like teenagers the world over, music began to play an important part in the Wenger brothers’ lives. So much so, that they spent their time jamming, honing their skills and experimenting musically. With some basic equipment, “we were experimented, all the time. After school we would enter our little room and spend hours catching sounds. Sometimes our songs were no longer than forty-five seconds, but this was enough for us. It was just so much fun!” This offered an escape from the reality of growing up in Paraguay. Following a coup d’état on the 4th of May 1954, Paraguay was ruled by dictator Alfredo Stroessner. That was the case until 1989. During this period, Paraguay expanded economically and underwent a degree of modernisation. However, the Stroessner regime was an oppressive one. Human rights abuse was commonplace and those that opposed the Stroessner regime did so at their peril. As a result, Paraguay wasn’t the ideal place for the Wenger brothers to embark upon a musical career. Just like in other countries ruled by dictators, artists, writers and musicians were viewed with a degree of suspicion by the authorities. They were often seen as subversives. However, Joern and Dirk just wanted to make music. That was what they wanted to pour their youthful energy and enthusiasm into. However, they too had a dream. The Wenger brothers’ dream was to eventually make a living out of music. That was what they eventually hoped to in the future. Meanwhile, Dirk and Joern were students at the Goethe School, in Ascuncion. Eventually, Joern Wenger decided to form his first band. 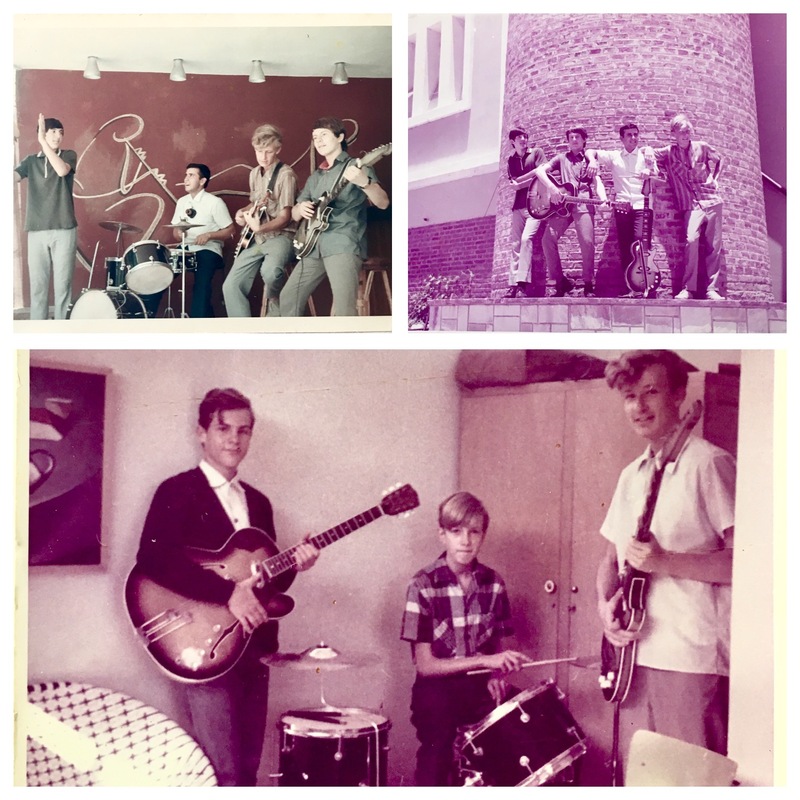 “I was probably fifteen years old when I started the band “The Rabbits” together with some friends” and his younger brother Dirk. Joern was joined by Gilberto González, Naldo Nardi, Rodrigo Campos and Willy Schubeius in the new band, which they named The Rabbits. Joern who was three years older than his brother Dirk, became The Rabbits de facto leader. He played organ while his brother Dirk played one of the two sets of drums. Gradually, the nascent garage band’s music began to take shape. While Joern and Dirk had spent months honing their sound in the studio, the rest of the band had some catching up to do. Having spent time practising and honing their sound, The Rabbits were ready to play live. While the Wenger brothers were dedicated their lives to music, the: “music made by The Rabbits was more for fun, for school parties mostly. That’s why we took our own path after a short time.” However, initially; “The Rabbits was a band of friends who mostly played covers. There wasn’t a lot of creativity involved.” Despite that, The Rabbits got as far as recording an EP. For The Rabbits’ Lo Más Nuevo EP, they decided to record Never Funny, Buscándote, Gloria and Todos Los Instantes. On these tracks, The Rabbits combined elements of psychedelia a and garage rock. Once the recording was complete, The Rabbits took the EP to the Guarania label. When the Guarania label was formed on August 13th 1955, it became Paraguay’s very first record label. 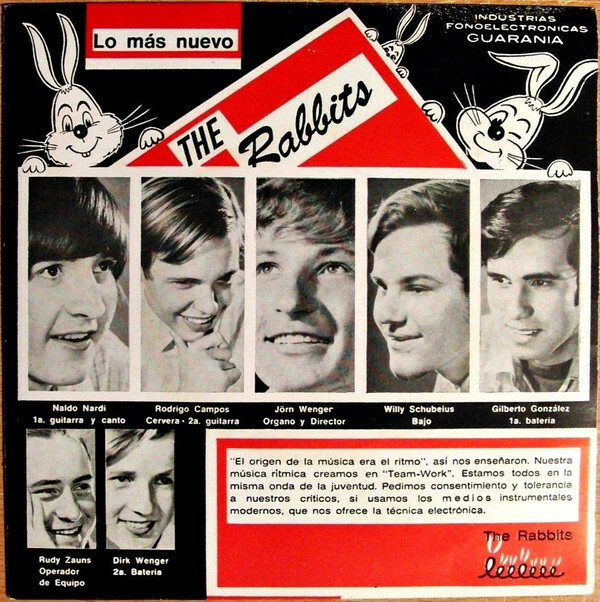 Just under fourteen years later, and it would release copies of The Rabbits’ debut EP. Only 300 copies of the Lo Más Nuevo EP were pressed and released later in 1969. “After we released the EP some radios played our songs, but Dirk and I decided to leave the band and start doing something that we were passionate about.” This was the end of the first chapter in the Wenger brothers’ career. Having left The Rabbits, the Wenger brothers knew the type of music they wanted to make. It was very different to the type of music that The Rabbits played and recorded. The Wenger brothers decided to form a new band. This time, there were only two members, Joern and Dirk. So, they took the first two letters of their christian names and Jodi was born. The two members of Jodi envisaged making much more experimental music. This would be very different to the music most bands were recording in Paraguay in 1969. All the Wenger brothers needed was was somewhere to record their music. Fortunately, the Wenger brothers knew the perfect place. This was a disused part of the family’s Dux factory. It would the perfect place to build a basic studio. With that part of the factory not being used, the two brothers were given permission to turn their dream into reality in 1969. The two brothers got to work, and soon, the studio began to take shape. “Our first studio consisted of two one-track tape recorders and a little mixer. For example, for music effects, we would sing into an iron drum . Distortion for guitars were made by overdriving the sound, and so on. Our microphones back then were so primitive and noisy though.” Despite this, it was a dream come true for the Wenger brothers, who decided to christened their new studio. Once the studio was complete, it was christened the Jodi Experimental Studio. Again, the brothers took the first two letters of each of their christian names (Joern and Dirk) and combined this to create the Jodi name. 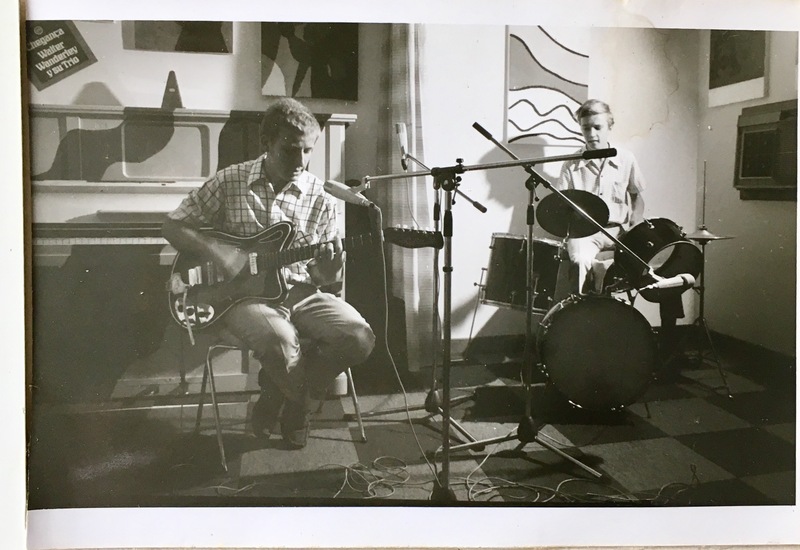 Joern was sixteen, and Dirk who was nineteen, set about experimenting musically and creating what they called spontaneous pop. The Jodi Experimental Studio became a musical laboratory, where the two brothers were able to experiment with a myriad of different musical instruments. They were also able to experiment with the latest music recording techniques. There was only one problem. Paraguay didn’t have a music industry as such. This meant that Joern and Dirk didn’t have access to much of the equipment musicians elsewhere took for granted. Especially effects units. This meant that the brothers had to work out a way to replicate reverb or echo. To do this, Joern and Dirk often laboured long into the night seeking a solution. Usually, they managed to do so as their creativity blossomed. This continued during as the weeks and months passed. The two brothers immersed themselves in an eclectic selection of music seeking inspiration. Two albums made a big impression on them, The Beatles’ Sgt. Peppers Lonely Hearts Club Band and The Beach Boys’ Pet Sounds. Sometimes, the Wenger brothers listened to the Bee Gees and James Brown, other times to Little Richard, Louis Armstrong or Oscar Peterson. For the Wenger brothers this was part of their musical education. Meanwhile in the Jodi Experimental Studio, continued to record the tracks that what would eventually become their debut album Pops de Vanguardia. Gradually an eclectic album began to take shape. Joern remembers: “the rudimental sound was made with two tape recorders. That was all that we had back then. For each song I had to make a plan: record the first part and then play back from recorder to recorder. Then add the instruments and finally the voices. One song took a lot of time to finish. Sometimes, after a few days of working on a song I would not like the result and would start all over again. I always tried to do easy sounds and try to avoid complex surrounds.” These songs that took shape were very different to what other groups were recording. Jodi were combining flitting between and combining elements of blues, garage rock, indie rock, proto-punk, psychedelia and rock. Sometimes, there were even elements of avant-garde and experimental musical. It was a truly ambitious and eclectic album that Jodi were carefully crafting. That was Jodi’s plan along. They set out to record an eclectic album. “That was exactly the point. We wanted to show a big variety of sounds and styles. We wanted to show that we could experiment with music.“ The music on Pops de Vanguardia was also: “to some extend it was a reflection of the music that was influencing me. “Poor Man, Rich Man” (a bonus track on Pops de Vanguardia), was an influence from John Lennon. His songs used to be in the back of my mind during the creating process.” All this was influencing Joern Wenger as Jodi recorded what would eventually become their debut album. However, they weren’t ready to release it in 1969. Instead, the Wenger brothers travelled from Ascuncio in Paraguay to Germany. Their destination was the Folkwang University of the Arts, in Essen. That was where the brothers studied arts. Their music teacher was none other than composer Karlheinz Stockhausen. He was already regarded as a musical pioneer and one of the most innovative and influential composers of his generation. Studying under Karlheinz Stockhausen was the perfect way to complete the Wenger brothers’ musical education. “We travelled to Germany. I made a short visit of three months to the Folkwang University in Essen, where I met Karlheinz Stockhausen. I was so impressed by him and his class that I needed to get in touch with him. Of course, myself being from Paraguay raised his attention as well. He showed me his studio in the West German Radio (WDR), where I had the chance to participate in some sessions. That certainly blew my mind! He had these experimental tools I could only dream about having one day. I remember him telling me: ‘Use your imagination. If you make music, people will not always like it, but for some reason you made it!.” This was good advice from one of great innovators of German music, which during the Wenger brothers stay, was thriving. Looking back, it seems that the critics failed to understand an ambitious album of groundbreaking and genre-melting music. Jodi had drawn inspiration from a wide variety of musical and genres and influences and recorded an album that would only receive the recognition it deserved much later. To make matters worse, when Pops De Vanguardia was released later in 1971, the album failed commercially. Just like the critics, record buyers never understood the album. The problem was, that the music was way ahead of its time. Maybe if Pops De Vanguardia had been released later, it would’ve found the audience it deserved?. Alas, Jodi’s unique brand of spontaneous pop passed record buyers by. That’s despite Jodi showcasing Jodi’s a new and groundbreaking sound on Pops De Vanguardia. Given the critical and commercial failure of Pops De Vanguardia, the future must have looked bleak for Jodi. However, it wasn’t. 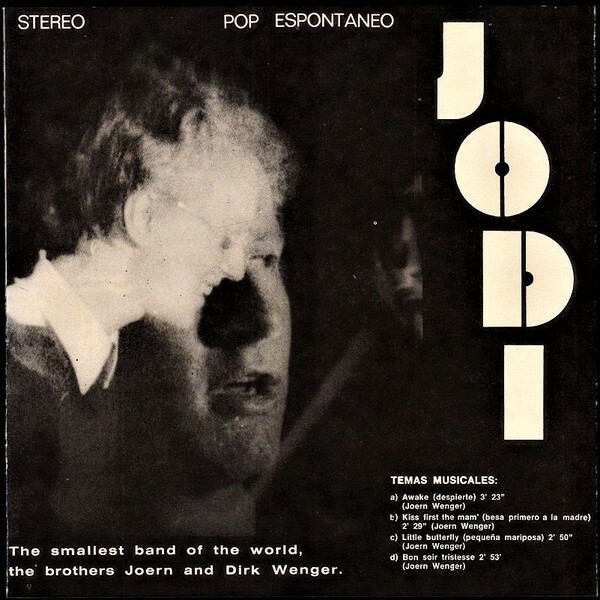 Jodi signed: “a a record deal with EMI-Argentina for six years.” This was enabled Jodi to build a better studio. There was a catch though. “Jodi was changed to Iodi, when we began working with EMI. Jodi in Spanish sounds a bit like the “F Word”. That was the only reason for the change, so people wouldn’t make fun of us.” However, it wasn’t just the groups name that changed. “IODI was a new concept. EMI needed Spanish songs, with romantic and sweet lyrics. They needed songs that would sell. That’s when Yo Pienso En Ti and Sueño De Tus Ojos were born.” These songs would find their way onto Iodi’s eponymous debut album. Unlike Jodi’s debut album, Pops De Vanguardia, EMI didn’t want Iodi to record at the Jodi Experimental Studio. Instead: “EMI wanted us to record in Buenos Aires, and we did try to do so but with rather little success. It was impossible for us to have the studio for ourselves only for a few hours. We were used to record track by track with no hurry. At the end, we made four to five versions of one same song and EMI would choose which one they liked better. This involved a lot of work for us. “ However, it paid off. “The album was very successful. We climbed up to place number two with Yo Pienso En Ti and stayed there for weeks. 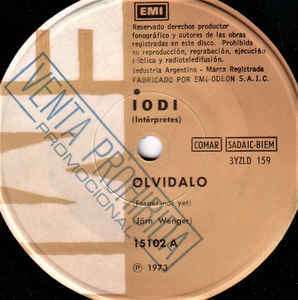 We sold a lot of records and EMI was happy.” For Iodi this was the perfect start to their career with EMI-Argentina. It was also the start of a fruitful period for Iodi. 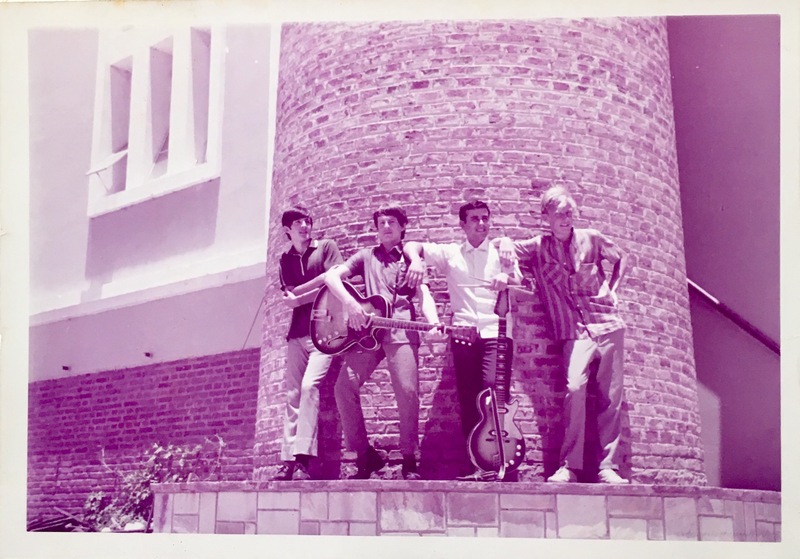 “In those six years with EMI, we were in the hit parade very often and the best position was in Miami’s Billboard number five, with Brothers the English version.” This was a long way from when Paraguayan critics slated Pops De Vanguardia. The Wenger brothers were enjoying critical acclaim and commercial success. However, here was a problem. “Our EMI musical director always pushed us to make similar songs but I refused. We tried not to sound the same from song to song.” This is admirable. Many musicians were content to remake the same song time after time. That was the case at labels like Motown, Philadelphia International Records and Salsoul. However, Joern and Dirk Wenger were different. They were pioneers, who constantly sought to reinvent their music. This paid off. For six years, Iodi were popular not just in Argentina, but across parts of South America. Again, their music was a potpourri of influences and genres. Elements of pop and rock rubbed shoulders with funk, Latin and soul. This was a heady and tantalising musical brew. It had proven successful, but by 1976 Joern and Dirk Wenger were looking towards the future. “We had the best time with EMI, but as time went by we needed to think about our future, and if we could actually make a living out of music. That’s when we both decided to start studying Chemistry to later join the family company. We played music until 1976, which was the time when we left the music scene.” For the Wenger brothers it was the end of an era. It looked like the Wenger brothers had turned their back on music. Both brothers had studied chemistry with a view to joining the family company, Dux. Eventually, Joern Wenger completed his PhD and became Dr. Joern Wenger. Following his studies, the world of business beckoned. However, nine years after turning their back on music, Iodi decided to make a comeback. “We did try to have a revival in 1985. EMI wanted a new look and sound from IODI. 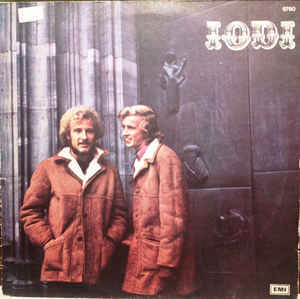 We released a LP but unfortunately it was a failure.” As a result, Iodi’s comeback was short-lived. The Wenger brothers returned to their jobs at Dux. This proved to be the end of the road for Iodi. “After 1985 I quit music. The studio runs until today though. It’s called Iodi Media and is managed by a musician called Quique Calabrese. Apart from recordings he also does coproduction for film music.” Thirty-two years after Joern Wenger turned his back on music, the studio he built with brother Dirk lives on. It’s essentially part of his musical legacy, and where they developed the concept of spontaneous pop as a member of Jodi. That Joern Wenger thought was part of the past. Nowadays; “I’m a chemist working in my own company, Dux who was founded by my grandfather sixty-eight years ago. My new passion lies in the research of recycling waste plastics and used tires. It’s not only a problem that affects us here in Paraguay, but worldwide it is a problem.” It’s a problem that Joern has been determined to solve for many years. “I presented my project “Pyrolysis of Plastic Waste” for the first time in Sweden at the WorldbioEnergy 2014 and in 2015 I was awarded a gold medal in Geneva, Switzerland at the Salon International Des Inventions. I’m currently working on a pilot plant in Paraguay to reduce used tires into useful gasoline.” Hopefully, Joern will succeed in doing so, and solve a problem that affects people the world over. This research is a far cry from his days with Jodi. That was part of Joern Wenger’s past. However, music still plays an important part in his life. “Music continues to be my best friend until today. I keep in touch with old friends from the music scene and I find it so flattering that people contact me until today asking me about my musical past.” What he wasn’t expecting, was a revival interest in Jodi and their groundbreaking, lost genre classic Pops de Vanguardi. That was until: “Pops de Vanguardi was revived thanks to a good friend from Argentina, Eduardo Pietruczyk, who presented this LP to Guerssen Records in Spain”. Joern “signed a contract Guerssen Records in Spain.” This was a big surprise for me and I was so honoured to have a revival for my experimental music, denied forty-six years ago. Out-Sider Records, an imprint of Guerssen Records recently reissued Pops de Vanguardi. It’s a lovingly curated reissue that comes complete with bonus tracks. They’re a reminder of just how eclectic the music Jodi recorded. Jodi combined elements of blues, garage rock, indie rock, proto-punk, psychedelia and rock on Pops de Vanguardi. There were even elements of avant-garde and experimental musical on Pops de Vanguardia. It was a truly ambitious and innovative album thatdeserved to find a much wider audience upon its release in 1971. Sadly, that wasn’t the case. Instead, neither critics nor record buyers understood Pops de Vanguardi. It was an album that was way ahead of the curve musically. So much so, that very few people understood or “got” what Jodi were doing. It was only much later that Pops de Vanguardi found the audience it so richly deserved. Just over twenty years later, and the world had been transformed by the internet. Suddenly, the world was a much smaller place for record buyers. They discovered, listened to and bought music from countries on the other side of the world. This includes a much more eclectic selection of albums than previous generations. A few lucky record buyers discovered copies of Jodi’s debut album Pops de Vanguardia. Quickly, word spread about Pops de Vanguardia and record buyers went in search of the album. Alas, it was to no avail. Pops de Vanguardia is now an incredibly rare album, and very few original copies exist. Those that do exist, are prized possessions among record collectors. It’s a similar case with Iodi’s albums. 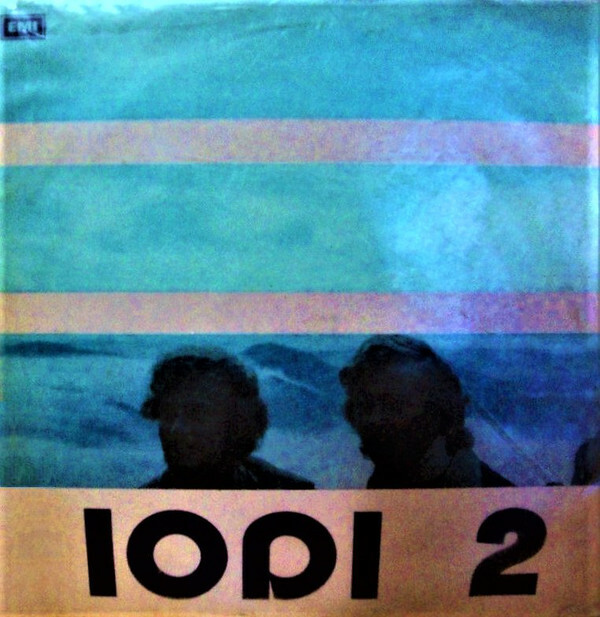 Nowadays, record collectors will search high and low for copies of Iodi’s singles and albums. Alas, it’s a similar story, with very few are copies for sale. Those that own copies cherish them. They’re a reminder of a truly talented group, Iodi who for six years, enjoyed critical acclaim and commercial success in Argentina and across much of South America. 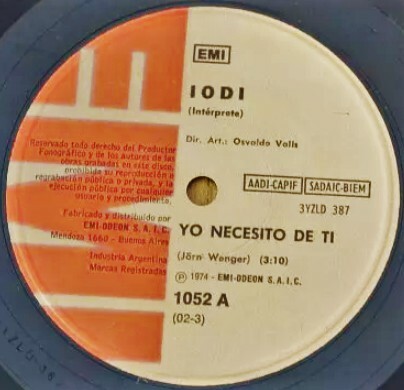 Sadly, Iodi was the final chapter in the Wenger brothers musical career. 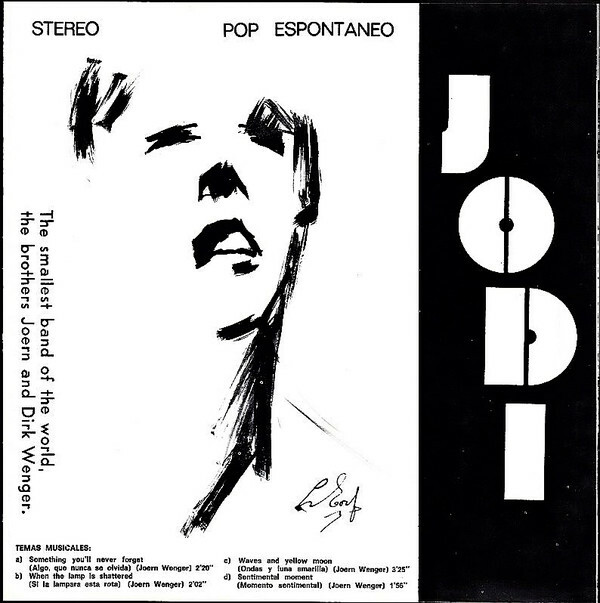 It’s being retold by Guerssen Records starting with Jodi’s debut album Pops de Vanguardia. 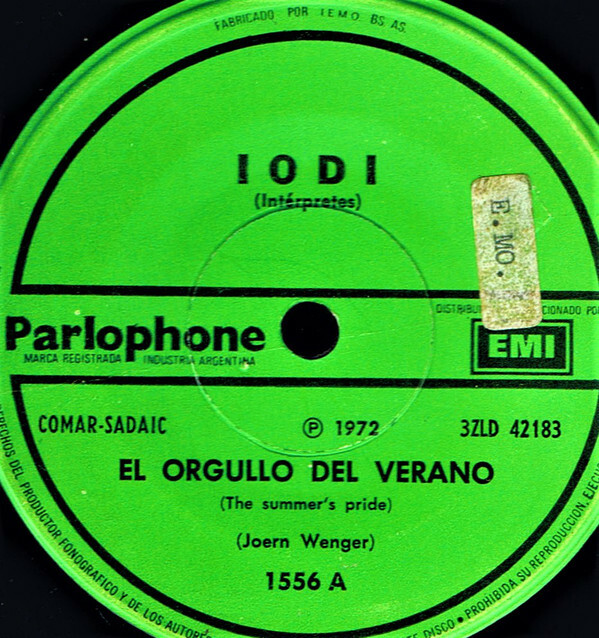 There’s no better way to start documenting the Wenger brothers’ musical career than with Jodi’s debut album Pops de Vanguardia. It’s an ambitious, accomplished and innovative album of eclectic and genre-melting music. So much so, that Pops de Vanguardia sounds as if it was recorded by veteran musicians, rather than two teenagers. However, Joern and Dirk Wenger were no ordinary teenagers. They were talented multi-instrumentalists who had dedicated themselves to music, and dared to dream. Their dream was to make a career out of music. This they managed to do, first as Jodi and then as Iodi. However, it was as Jodi that these two musical pioneers released a genre classic, Pops de Vanguardia, which nowadays, is belatedly finding the audience it deserved, and has reignited interest the multitalented Wenger brothers. ← GANDALF-JOURNEY TO AN IMAGINARY LAND. wow thank you for the story. been a fan of IODI for years, great to see so much information on them and to know how they started. i can’t wait to pick up a copy of the newly re-released “pops de vanguardia” and hope they re-release the other two albums as well, IODI and IODI 2. Thanks for your kind words. I’m sure that you’ll thoroughly enjoy the reissue of Pops De Vanguardia. It comes complete with previously unheard of bonus tracks, which are fantastic. I also hope that IODI and IODI 2 are released, as they’re both great albums.For the meantime, enjoy Pops De Vanguardia.